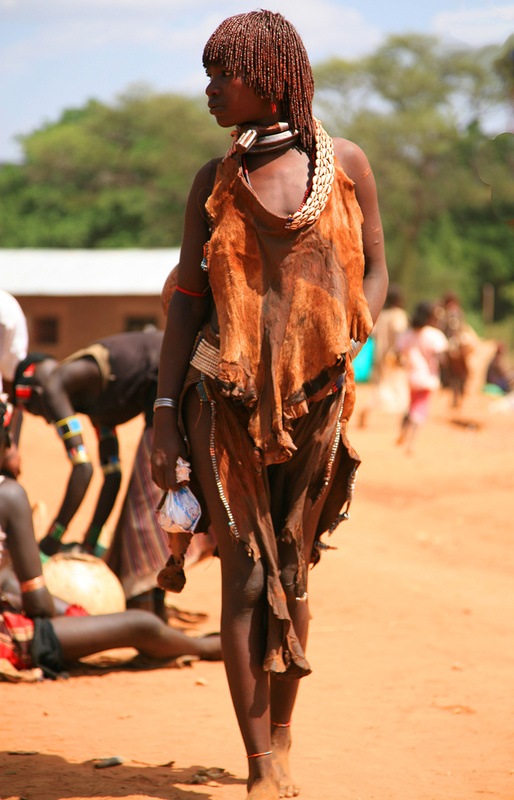 The Omo valley in southern Ethiopia is one of the few places on Earth where people tend to fully preserve their traditional lifestyle. However, here one can also meet fashion-lovers. This girl of the Hamar ethnic group has a hairstyle made by red clay, a goat-skin skirt decorated by beads and intricate bracelets on her wrists and ankles which emphasise her charm. Still, iron rings on her neck directly tell all interested men that she is married - and the third wife in the family.